Today I'm posting the most useful blogger tool "HTML Code Converter, Parser, Encoder" which is most demanding tool by bloggers, web developers. There are very few sites which show such posts, that's why this is really rare and special post. So please subscribe us for such unique posts. Now What is HTML Parser / Encoder / Code Converter Tool ? 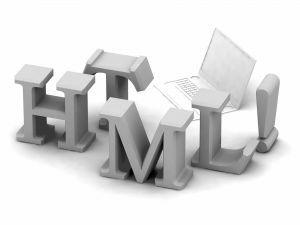 This Tool is mostly called as HTML Parser, Code Converter, HTML Encoder etc. The Tool will help you to change HTML characters to simple text, which could be easily inserted in your blogger template and comment form. You can also use it to convert your adsense code into an embeddable form. It converts special characters in this way. How To Add This Tool To Your Blog ? 4. Now find ]]></b:skin> and paste the following code just above it. 6. Now go to Dashboard > Create New Post > Go to HTML Section and paste the following code in it. 7. Now Click Publish ! Its Done ! Please don't remove our attribution link from the source. You can add our Blogger Badge to your blog. and Don't forget to subscribe Us by entering your Email in Feedburner Box at Right Sidebar. The converter box is showing but its not converting any code. Please check it in Blogspot Yard and give me the proper solution. Same Problem ; The converter box is showing but its not converting any code.